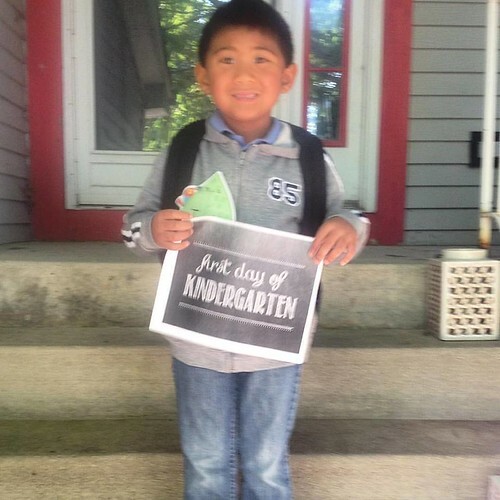 Now with an official kindergartener in the house, gone are the days where I had daycare taking care of his breakfasts. Now, I have to make sure he had a good breakfast every morning before boarding the bus. One of my son's favorite breakfasts is pancakes. He loves those fluffy rounds of sweet batter, drizzled with a touch of maple syrup. 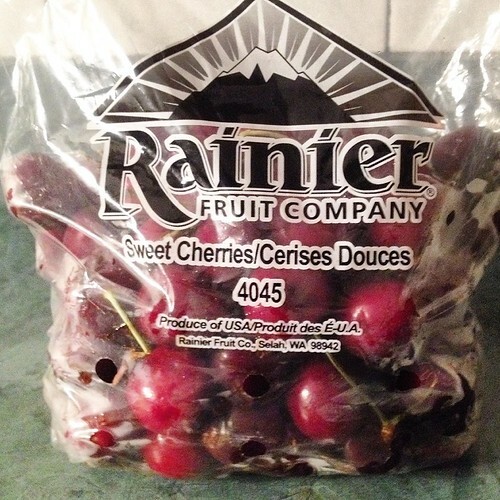 A couple months ago when they were in peak season, I received a generous amount of Rainier Sweet Cherries thanks to my friends at Northwest Cherry Growers and the Washington State Fruit Commission. 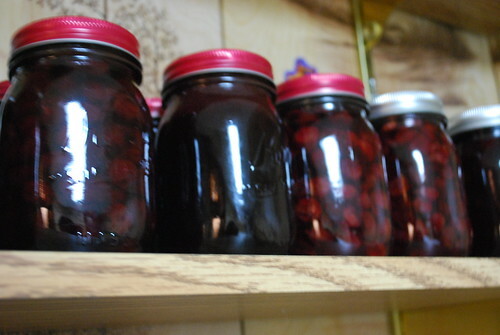 I canned some sweet cherries in a variety of ways - jams, jellies, butter, pancake topping, etc - and I'm excited to be able to enjoy a taste of these delicious gems all throughout the year! 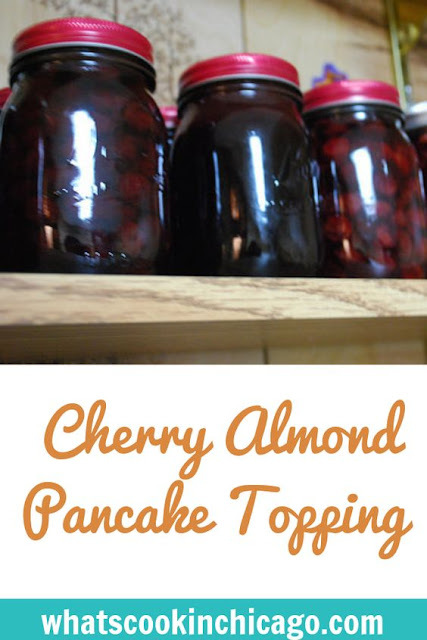 One of my favorite canned recipes using the cherries included this Cherry Almond Pancake Topping. Plump, ripe, sweet cherries were processed with pectin, butter, sugar and a touch of almond extract to create a perfect and colorful topping for pancakes, waffles, biscuits, or any favorite morning pastry. Joel was especially excited for a change of pace from his usual maple syrup topping on his short stack... and I'm pretty sure you will be too! Place whole pitted cherries in a dutch oven and add pectin and butter. Bring to a boil over high heat, stirring constantly. Preserve the cherry almond pancake topping immediately, using 1 of the 3 ways listed here. Yum! I always tell myself I'm going to can some fruits one of these years and never seem to get around to it. This sounds delicious though!